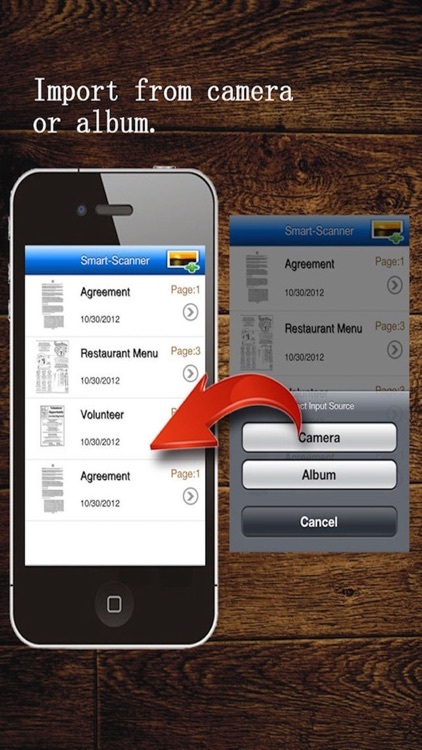 MyScan is a powerful portable scanner and reader for PDF documents, receipts, notes and whiteboards. 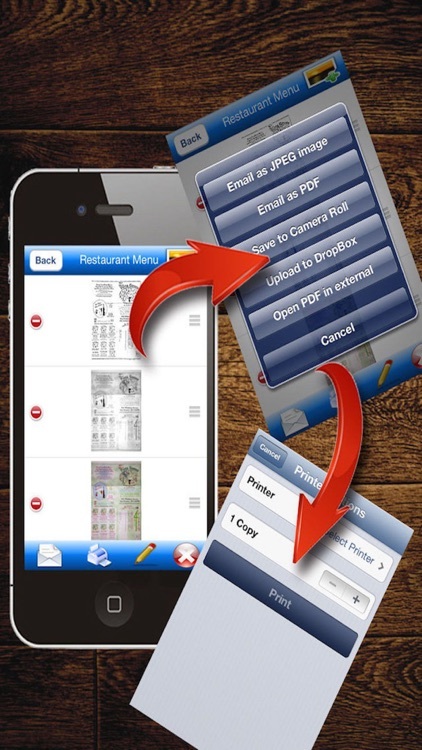 It enables you to quickly scan multiple documents on the go and share the scans as JPEG or PDF to Dropbox, Evernote or Email. 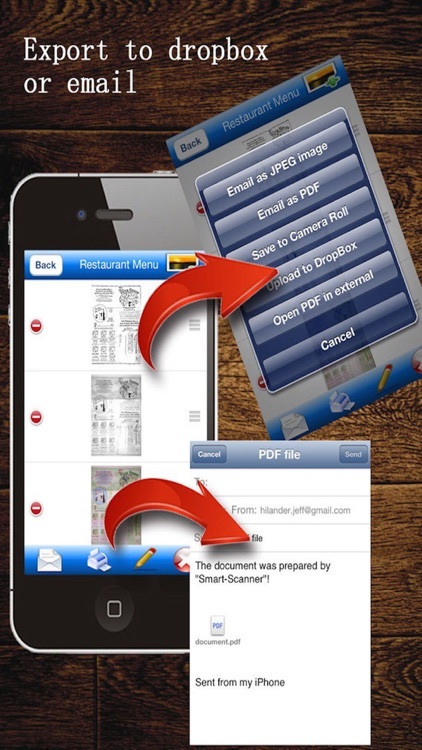 MyScan allows you to merged multiple scans into a single PDF file for sharing. 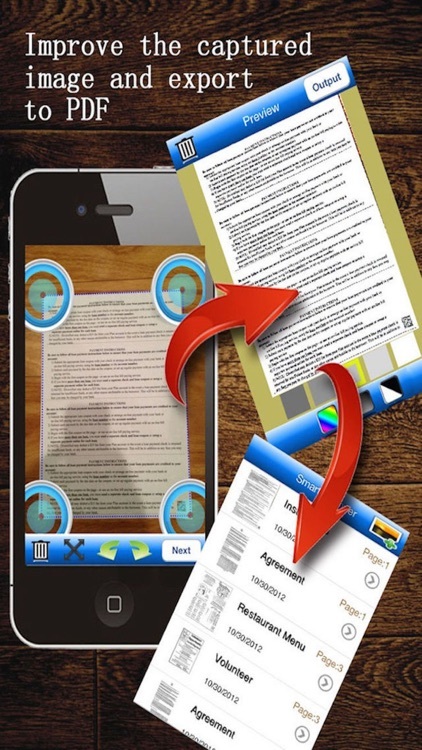 MyScan uses advanced algorithms to auto-detect document edges, perspective correction, removed shadows and set a best contrast for black and white document. * Scan and email an important document to your boss from your car. * Take a picture of a whiteboard in meeting room. * Save all receipts or invoice for book keeping. 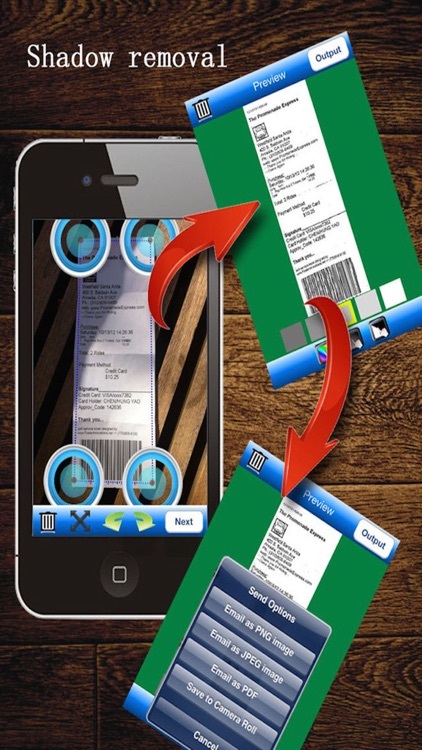 * Manage your business cards in one place. * Signed and returned the home mortgage documents. 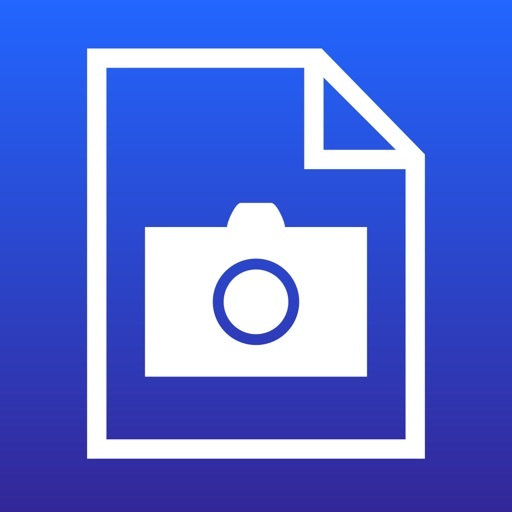 • Automatic detect document edge and perspective correction. • Enhances the scan with color, gray or black-and-white post-processing. 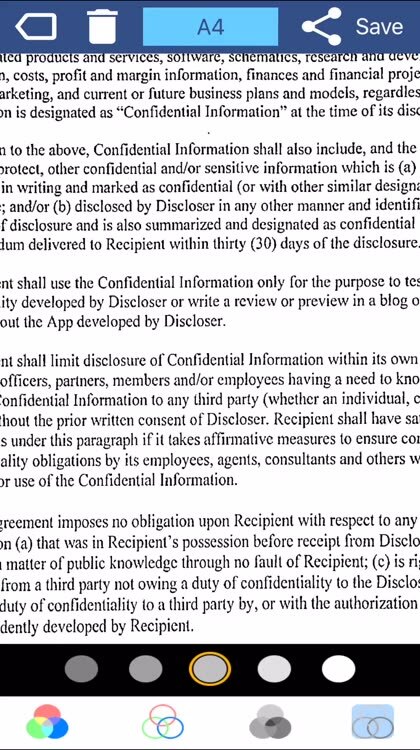 • User can add highlights or signatures to document. 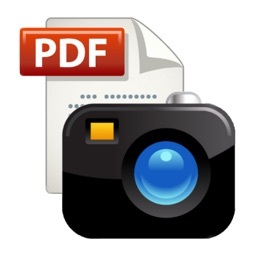 • Email or share document as JPEG or PDF file. • AirPrint: print out your document to compatible printer. • Adjust brightness, rotation, and color controls in one button. • Scans management: adding, deleting and renaming scans. • Searching scans by name or date. • Support DropBox and Evernote. • Support OCR for reading text from image. How to get better scan? • Make sure your document is flat. 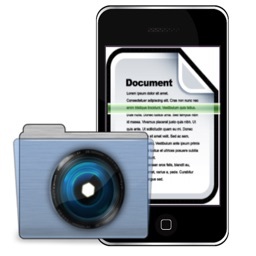 • Make all the corner and edge of document are visible on the picture. Please email any comment or suggestion to [email protected] Your opinions is very important to us.